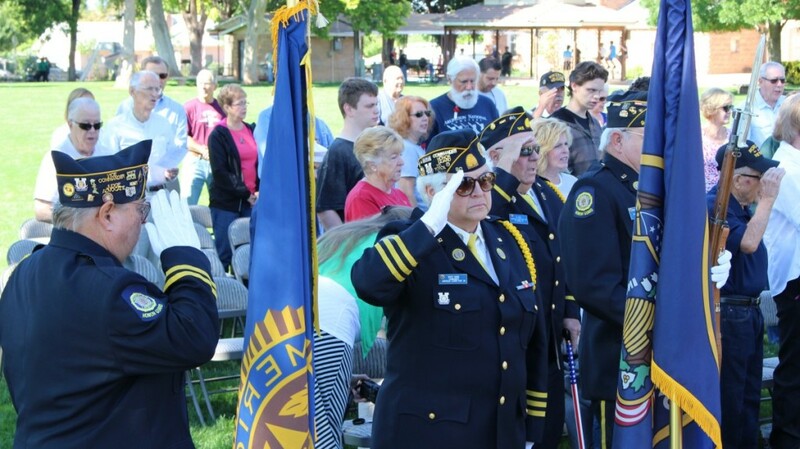 WASHINGTON COUNTY – The community gathered in various spots across Washington County to observe Memorial Day, a day set aside to recognize those who paid the ultimate price while serving their nation. 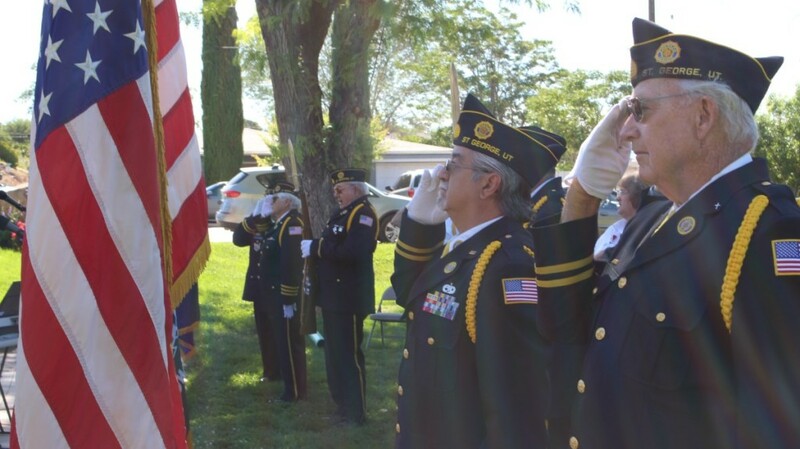 “It is not a day to honor you or me, or other veterans who did not die in war,” Ski Ingram, adjutant of American Legion Lester Keate Post 90, and also a Vietnam War veteran, said to a crowd of fellow veterans and their friends and family at the Southern Utah Veterans Home in Ivins. 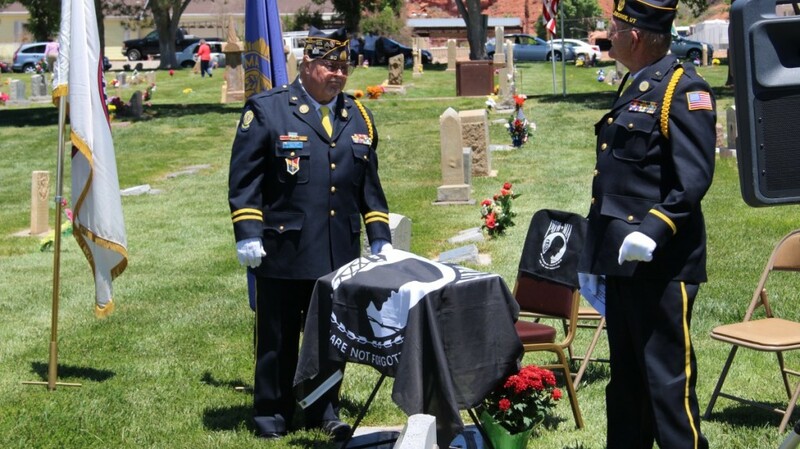 “We veterans sacrificed, but nothing compared to those who gave their all – the ultimate sacrifice to preserve this nation,” Ingram said. 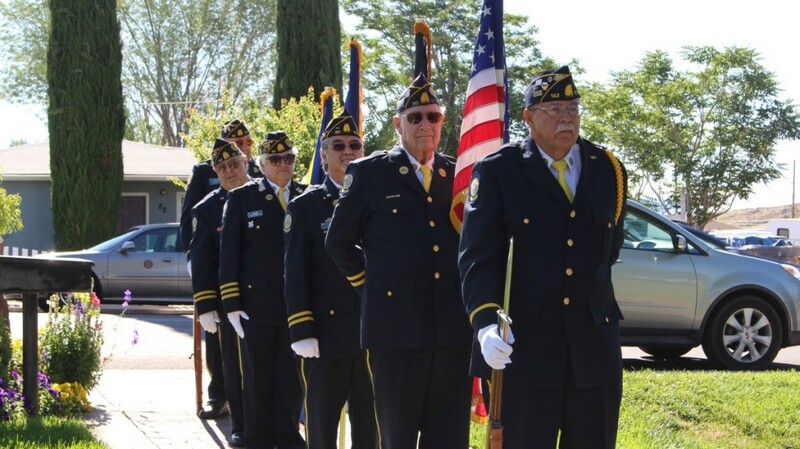 Before Ingram were many of the Veterans Home’s residents: veterans of World War II and the Korean War. 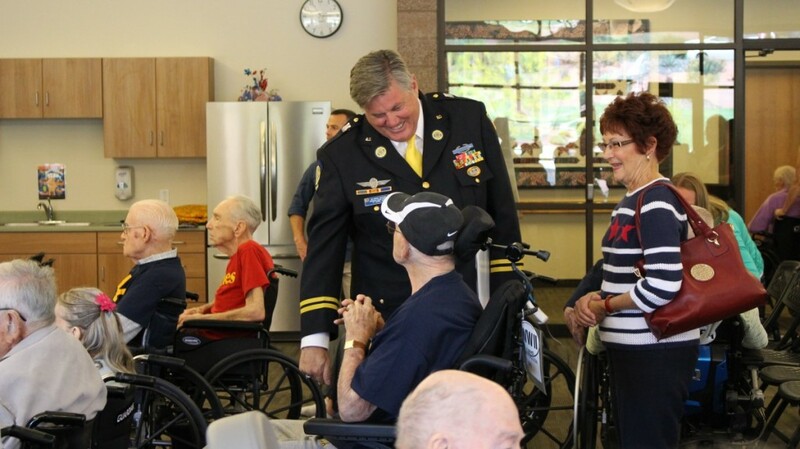 Both belong to America’s “greatest generation,” he said, and was humbled to be in their company. The program observing Memorial Day was one of five held across the county by posts of the American Legion. 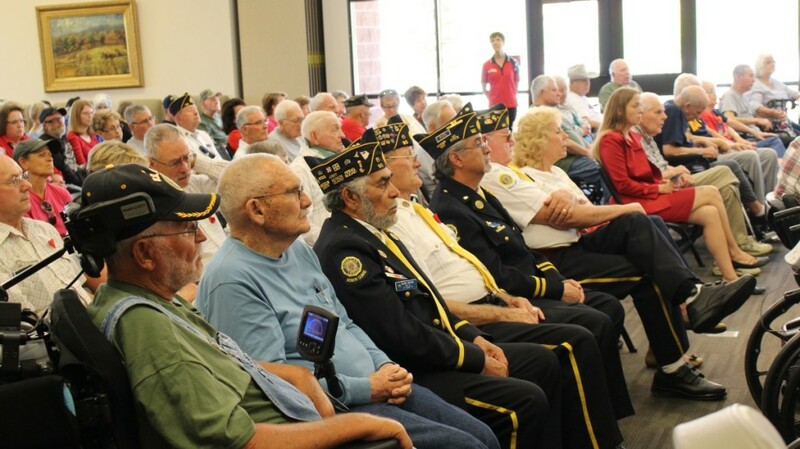 Earlier, programs were held at the SunRiver Community and St. George Cemetery in St. George, Veterans Park in Washington City, and Hurricane City Cemetery in Hurricane. 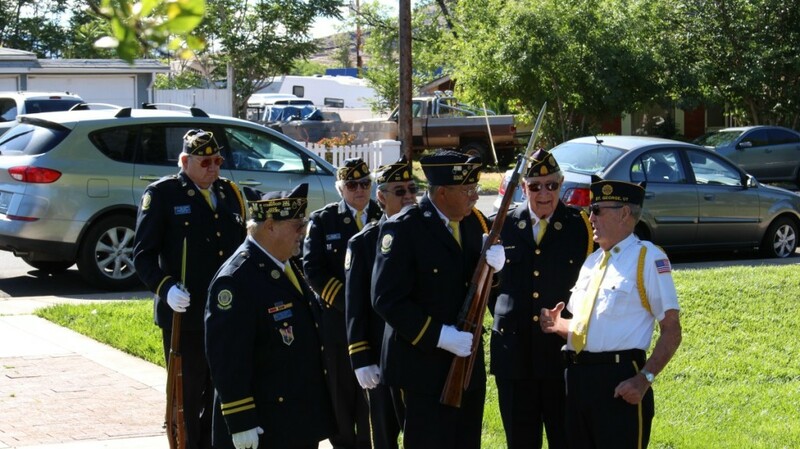 Before going to Ivins to participate as the keynote speaker, Ingram welcomed a crowd of over 150 people at the St. George Cemetery where he shared the history behind the name of the fallen World War I solider Post 90 honored. 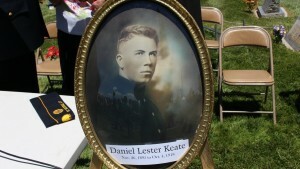 Daniel Lester Keate was born in St. George on Nov. 26, 1895. 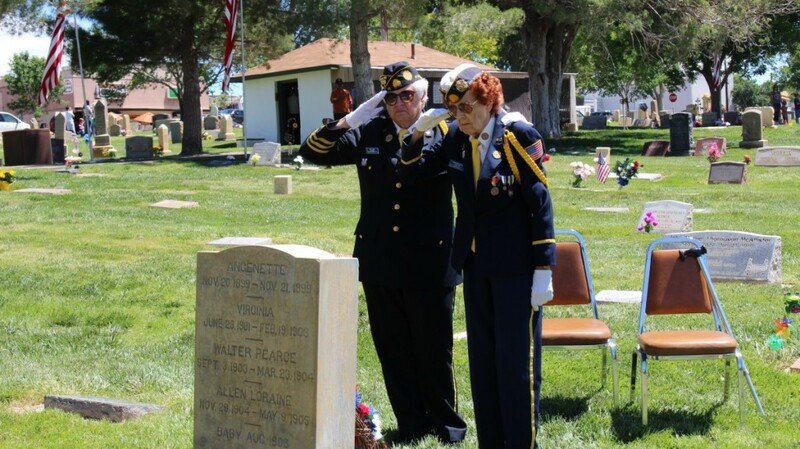 He enlisted in the U.S. Marine Corps at 22 in 1917 and was sent to France. 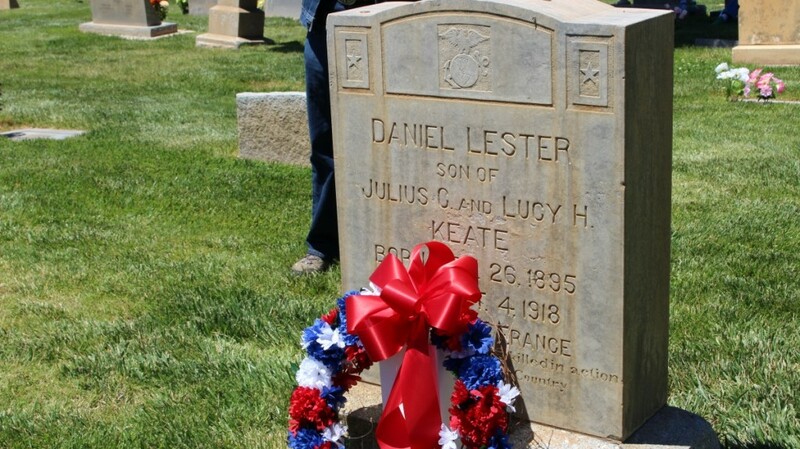 He was killed in battle in Champagne, France, on Oct. 4, 1918, and is buried in the St. George Cemetery near his parents. 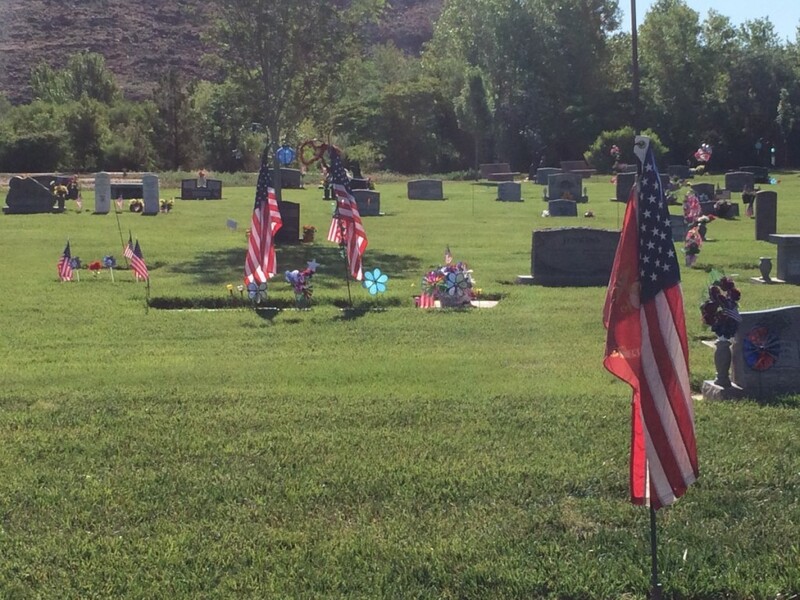 As a part of the program in St. George, a wreath was placed at Keate’s gravestone. 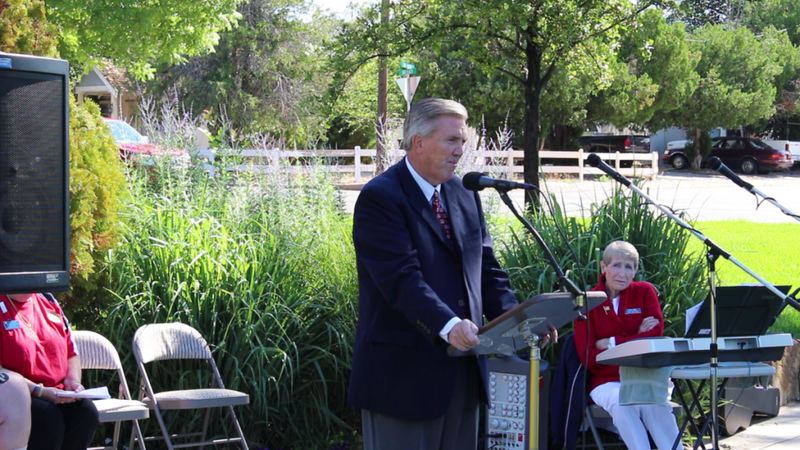 Hyram Smith, co-founder and former CEO of Franklin Covey, spoke at the St. George event, and recounted stories from the Battle of Gettysburg during the Civil War, along with the bloody struggle Marines had in taking the island of Iwo Jima from the Japanese in World War II. 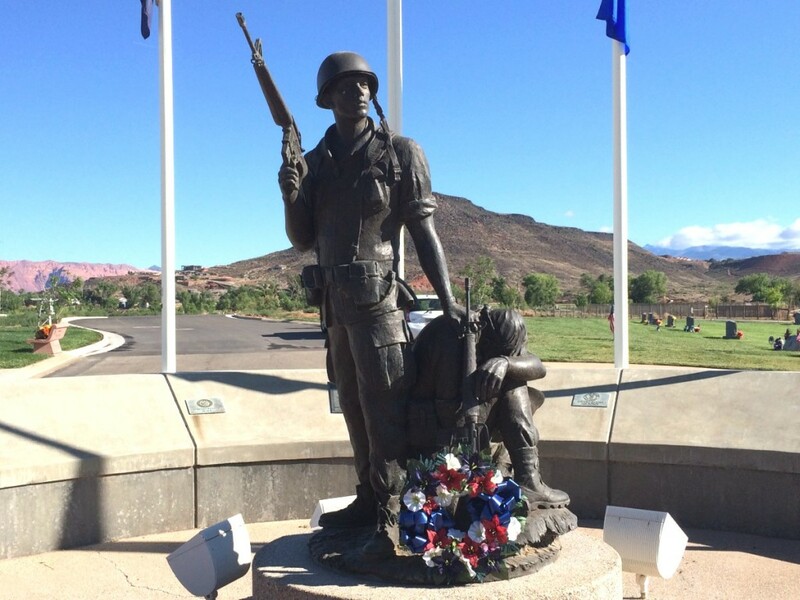 “We have such an unbelievable country – the price to pay for it has been astronomical,” Smith said. 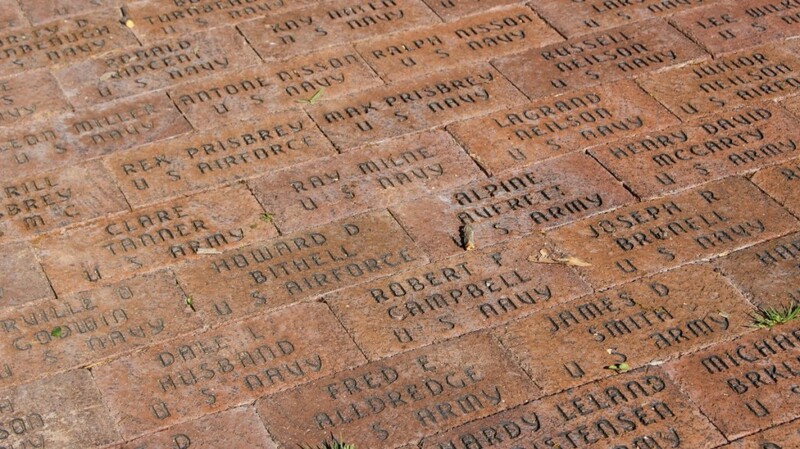 At the Veterans Park in Washington City, the name attached to the American Legion Post 912 – Rodney Neilson – was explained. 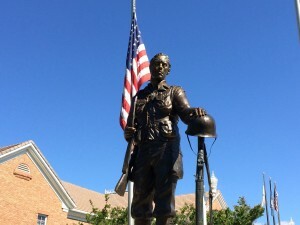 Washington City Mayor Ken Neilson said Rodney Neilson, a cousin, fought in World War II in the Pacific Theater and was taken as a prisoner of war by the Japanese. 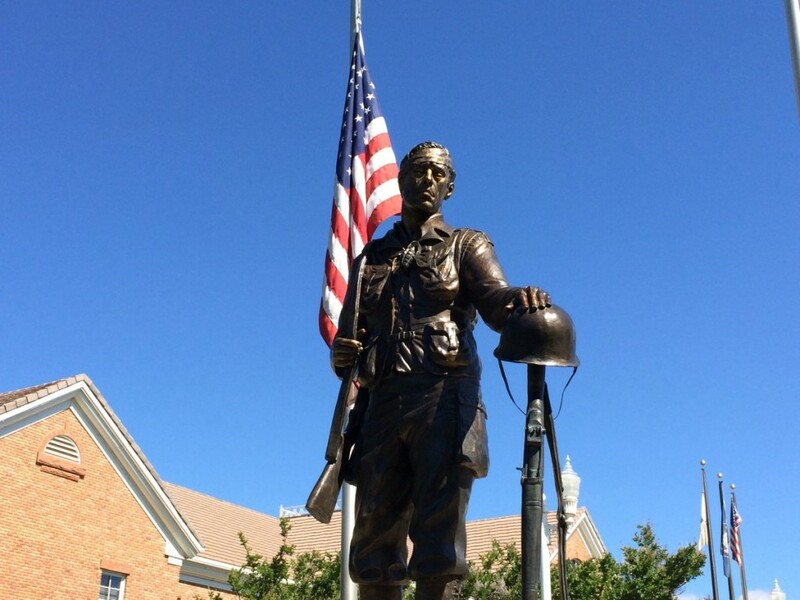 He was ultimately executed along with other POWs, Mayor Neilson said. 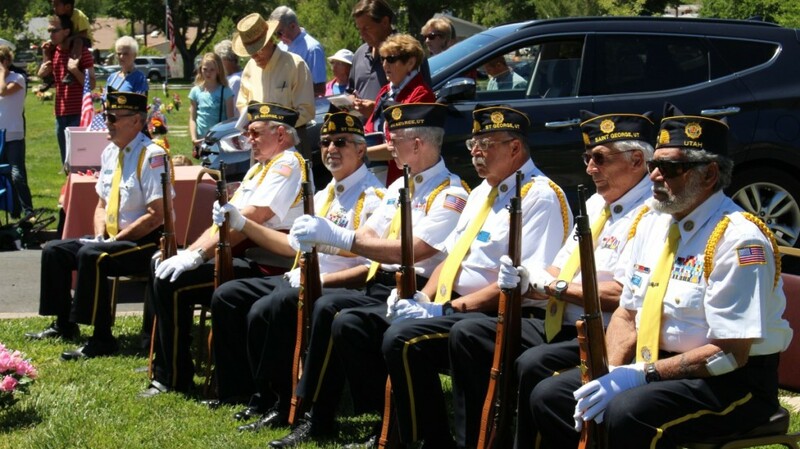 At each Memorial Day event, a moment of silence was taken for those still listed as prisoners of war or missing in action. 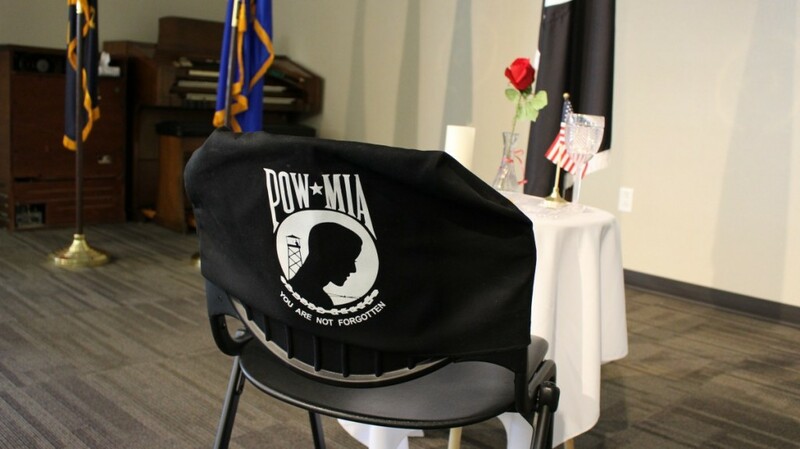 Symbolizing the missing soldiers in these cases was an empty chair set before a table draped in a black cloth or flag with the white POW/MIA emblem on it. 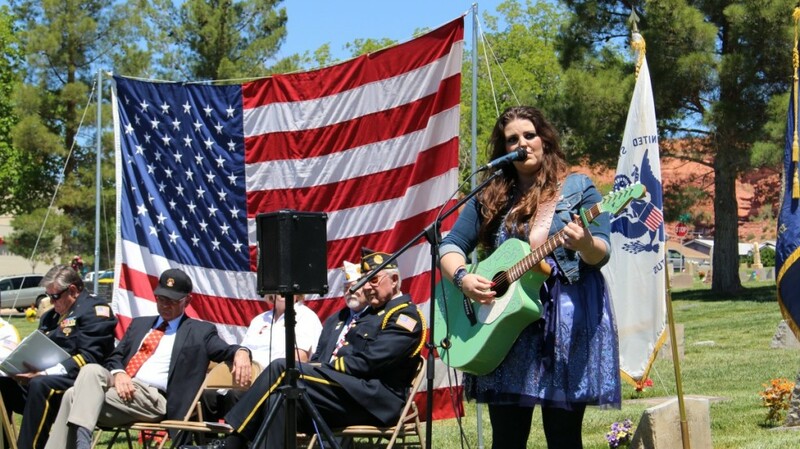 Following the close of the program at the St. George Cemetery, Ingram said the community overall has been very supportive of veteran events. 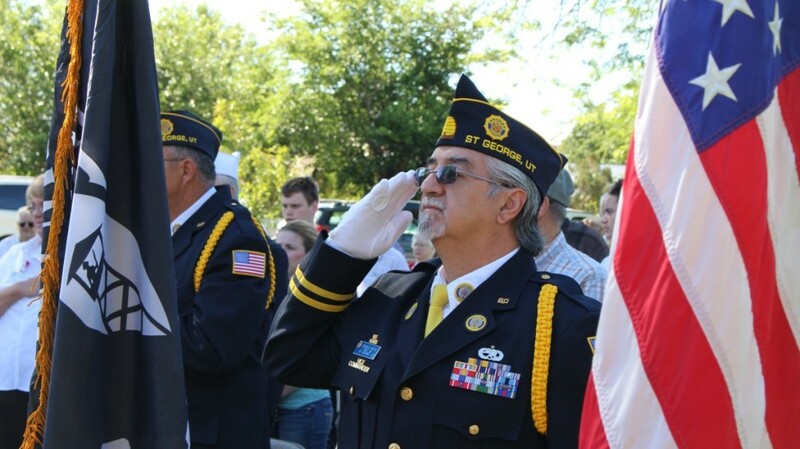 “The community has been awesome,” Ingram said. 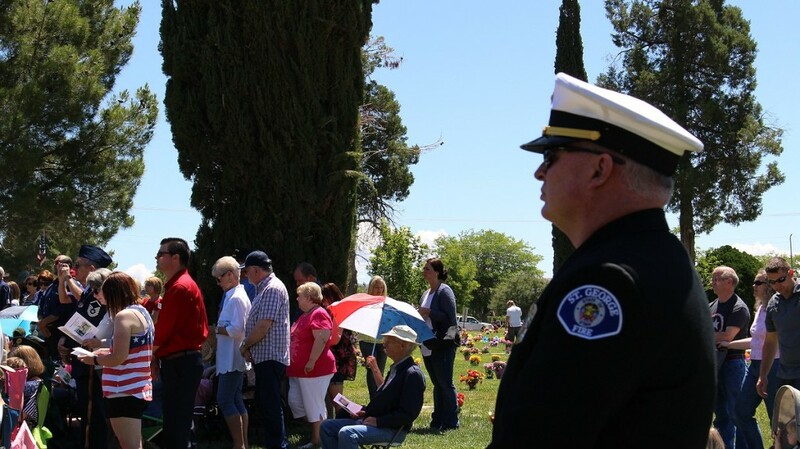 People came out to the event when they could have stayed at home or done something else for the holiday, but instead they took the time to observe what the day stood for, he said. 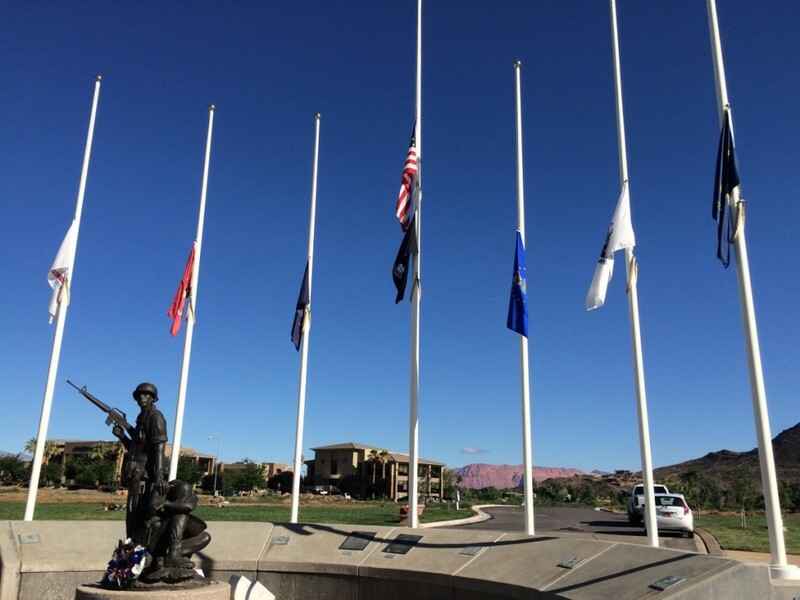 “It’s an outward expression of their inner belief in America,” he said.